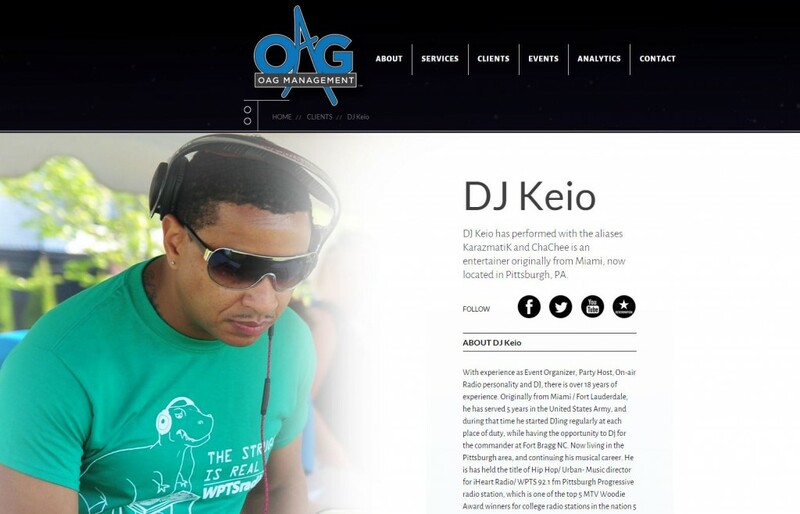 We're happy to announce a new website project launch for OAG Management. OAG helps artists, musicians, DJs, models, and other businesses and people like that get found through a variety of ways. 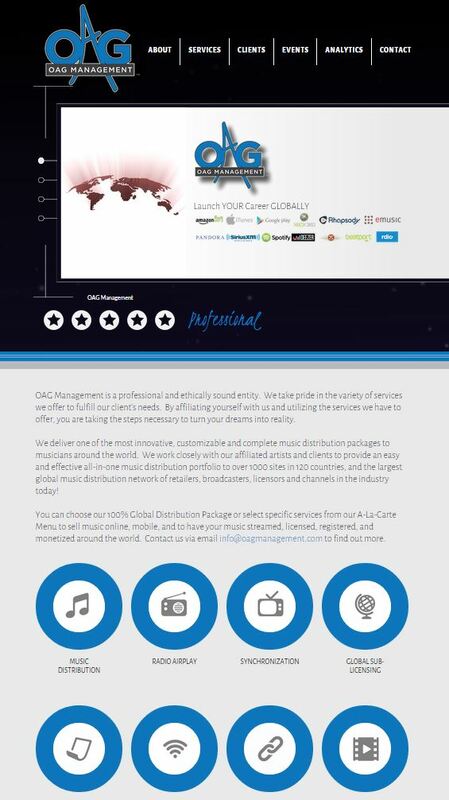 Some of the services they provide are global music distribution, music synchronization, publishing, content identification, artist and event management and more. The company is growing pretty quickly and they needed a website to help accommodate that growth! This project started off with a design. They came to the table with some great ideas already in mind. The website design needed to fit with those ideas and use appropriate colors already associated with the brand. To make it mobile friendly, the website uses responsive design. 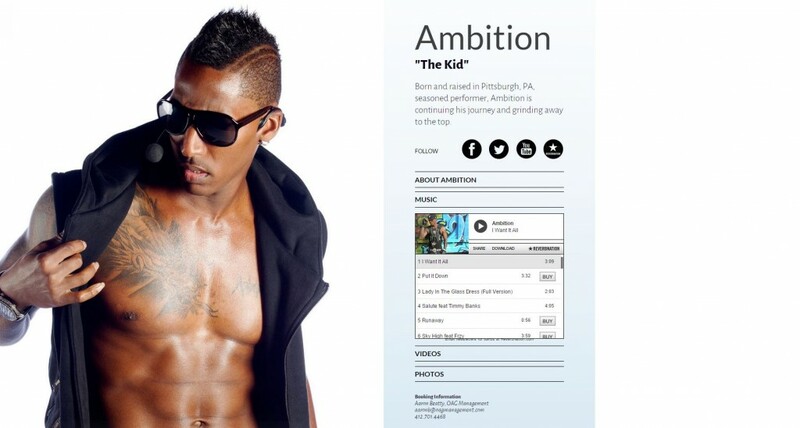 They've also got a variety of interactive features throughout the site including listening to artist's music, watching videos, and checking out their photos. The website uses the c80 Content Management System which will allow them to manage the website content without relying on a web developer to help make those changes. They can create new client pages and give each page its own custom background! This was a pretty fun project to work on and we wish Aaron and Scott the best of luck on their journey with OAG Management!